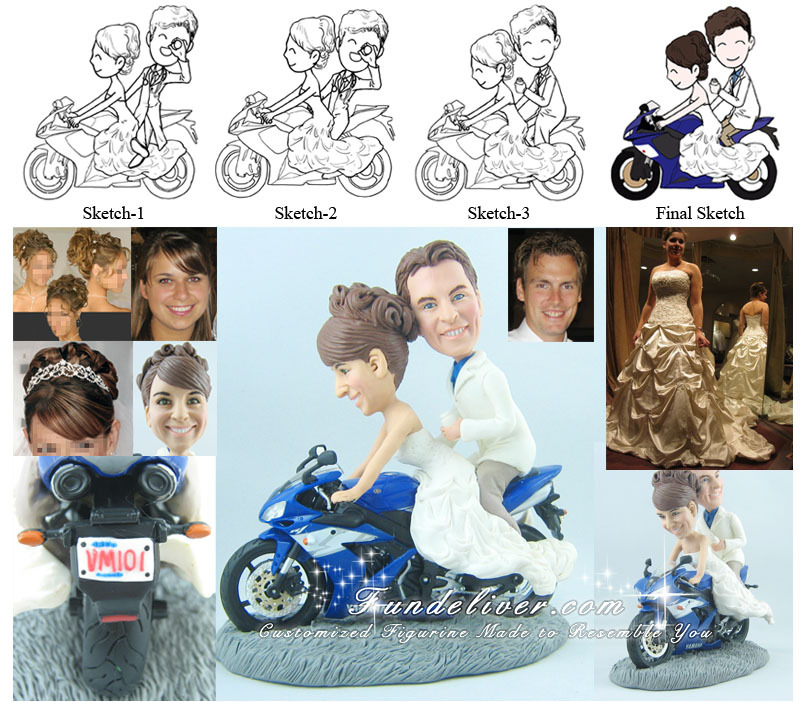 This is a completely customized motorcycle theme wedding cake topper ordered by one of our customers. The groom is a pharmacist, and the bride works with people with developmental disabilities and she LOVES super-street motorcycles. She has her own motorcycle and love riding on nice days. The groom doesn't ride, so they had a great idea for their cake topper. General speaking, they need the bride and groom on her motorcycle (with bride driving, and groom on the back). - The Bride’s wedding dress is white, not champagne like her picture, with sparkles on the stomach and chest. - The groom is in a white lab coat, holding a pill bottle. - They want the License plate on motorcycle to read VM101 in red writing. 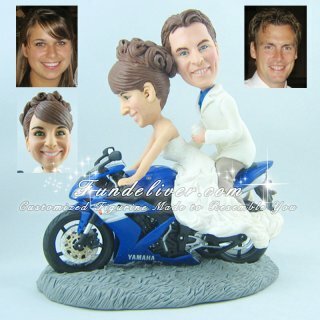 - The bride’s hair will be up for the wedding day, so she would like the figurine to have hair up like that too!